The Chinese New Year starts on the first new moon of the year, and the celebration ends on the first full moon following, 15 days later. The 15th day is the "Lantern Festival" and this is when the incredible cultural display of lanterns and children walking with lanterns. 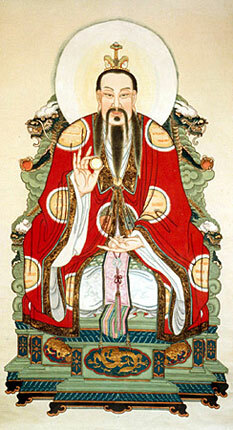 The Chinese New Year has many facets, including cleansing, renewing, spirit, reunion. One of my favorite traditions is the "Weilu". On the New Years Eve it is important to remember our ancestors. Those who gave of themselves, whose blood flows in our veins, for generations past. Weilu is the tradition of preparing a bountiful plate of food, and placing it on the table, prepared with seat, utensils. This is symbolize the reunion of the past with the present. 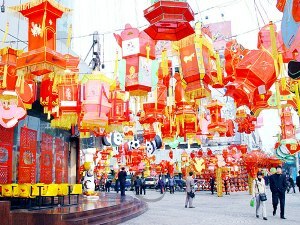 Chinese New Years Eve: Weilu - Symbolic rememberence of ancestors. Make a full sitting at dinner table. Day 1: Welcome the Protectors and Dieties. No negative words or sour faces. Day 2: More meditation and prayer to ancestors and important figures. Feed your dogs well, the second day is known as the birthday of all dogs. Day 5: Day of wealth. This is the day that the diety of Wealth and money is honored. This day is called Poo Woo. Day 9: Respect offered to Jade Emperor. Very important day. Day 13: Cleanse - Cleanse the body of all the rich foods from these reunions. Traditionaly a fast or rice & greens. So enjoy the Chinese New Year.